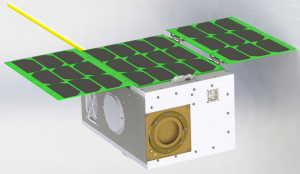 Preliminary design work on INSPIRESat-1, the program’s first CubeSat, started in August 2016. The first INSPIRE mission is a small satellite carrying the Compact Ionosphere Probe (CIP) developed by the National Central University and the National Space Organization (NSPO) of Taiwan. LASP is providing the spacecraft and the Indian Space Research Organization is providing the launch for the satellite. CIP is expected to provide ionospheric measurements, which will advance our understanding of ionosphere dynamics and plasma transport. The mission is hence uniquely co-­developed by LASP, IIST and NCU. 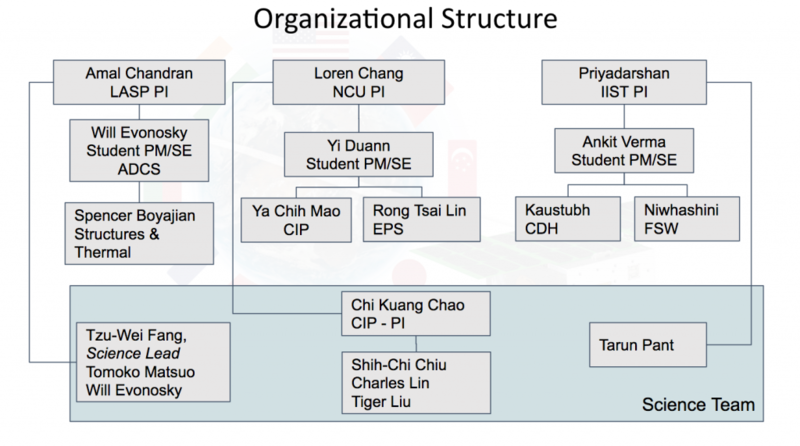 The science team is comprised primarily of scientists from CU Boulder, NCU Taiwan, and the Space Physics Lab of Indian Space Research Organization. The concept for the INSPIRESat-­1 mission was introduced and debated during the first annual INSPIRE workshop held in Taipei, Taiwan, in July 2016. The team of international partners considered and examined possible science missions and payloads. After a round of discussions, the Compact Ionosphere Probe from NCU, Taiwan was chosen for the mission because of its technological readiness and compatibility with the CubeSat structure and constraints. The work division among the various participating institutes was decided during brainstorming sessions and the final decision was agreed upon as illustrated in the figure below. The program has a unique organizational structure with verticals at the three main university partners and principal investigators, program managers and system engineers at each university. Student program managers and systems engineers at each university have weekly meetings and escalate action items to the faculty principal investigators for management decisions and to student subsystem leads for action item resolution. In 2017, LASP hosted 11 students from three universities (CU Boulder, NCU, and IIST) for an eight‐week summer training program, at the end of which the students had the preliminary design review. In 2018, CU Boulder-­LASP and CU’s Aerospace Engineering Sciences (AES) hosted 17 students from six universities (CU Boulder, NCU, IIST, SQU, NTU, and UoA) for an eight­‐week training program (also a six-credit graduate course in AES) at the end of which the students had critical design review in July 2018. 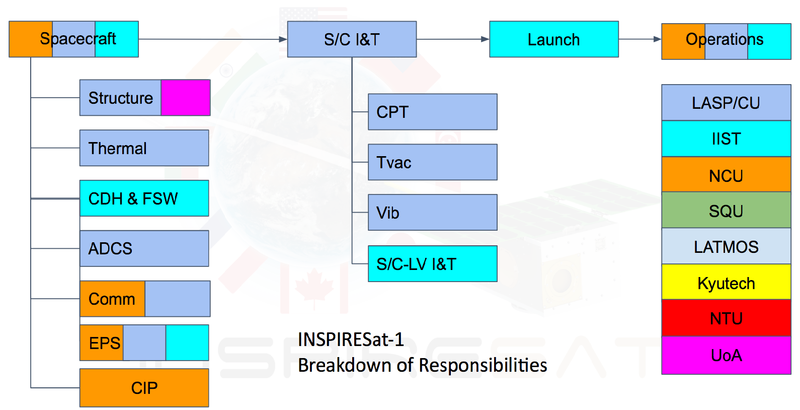 In 2019, at the end of the summer program in August 2019, INSPIRESat-­1 is expected to be shipped to IIST, India for a November 2019 launch.